The convenience and ease of rideshare apps, such as Uber or Lyft, are undeniable. 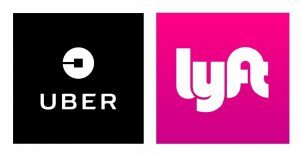 These companies portray themselves as technology firms who connect drivers with riders. With a tap of your finger, your chariot arrives to take you to your desired destination. But, what are Uber’s or Lyft’s responsibilities if your ride ends up being your worst nightmare? Multiple allegations of sexual assault by Uber and Lyft drivers have arisen over the past few years. Recently, CNN conducted an investigation, which revealed that over one hundred (100) allegations of sexual assault had been made against just the ridesharing service, Uber. Perhaps more disturbingly, riders have made allegations that Uber has allowed drivers who had been accused of sexually assaulting passengers to continue driving for the company. In one lawsuit, a rider claimed that she reported to Uber about being sexually assaulted by one of its drivers. After being allowed to continue to drive for Uber, that same driver was accused a few weeks later of attempting to assault another passenger. Although lawsuits have been filed against Uber and Lyft, legal issues surrounding these companies’ ultimate liability have remained largely unresolved. Uber has claimed that their drivers are independent contractors, rather than employees, and thus Uber is not responsible for their actions. Uber has also claimed that even if the court deemed the drivers to be employees, their actions (sexual assault) did not fall within the scope of their employment. Finally, Uber has claimed that it’s not a “common carrier” under the law, which means Uber doesn’t see itself as a taxi, bus, train, plane, or any other type transportation service, and thus Uber has argued that it should not be liable for the acts of its employees or agents. While a Court allowed the plaintiffs to continue their lawsuit against Uber, these legal issues were not fully resolved because Uber settled the cases in lieu of continued litigation. We urge anyone who is a victim of sexual assault by a rideshare driver to reach out to the authorities and report the crime. In conjunction with criminal prosecution, we also urge sexual assault victims to reach out to qualified attorneys to research and investigate the allegations to determine if civil remedies may also be available. Although nothing will erase the pain of being a victim of sexual assault, holding companies to a higher standard will help in the healing process, and perhaps contribute to the future safety of fellow rideshare users.